1. 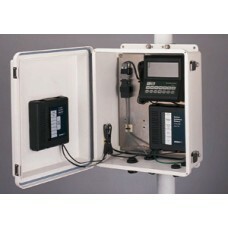 Vantage Pro2 console or console/receiver with WeatherLink data logger. 2. Alarm Output Module or Timer. 3. Short-Range Modem, spread spectrum radio modem, UHF radio modem, or cellular phone modem with radio surge protector. 4. 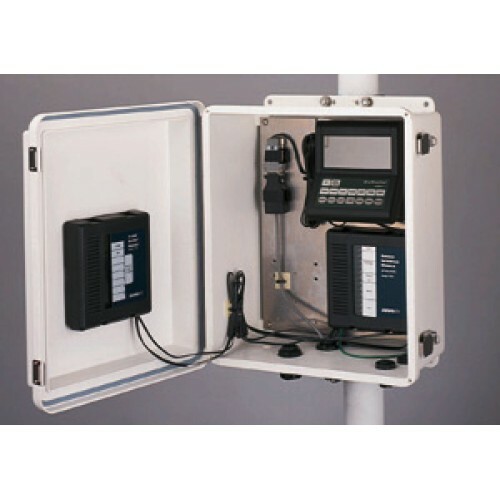 Weather Wizard III or Weather Monitor II console with WeatherLink data logger, protected junction box, regulator circuit from Solar Power Kit and 6.5-Amp-Hour Battery. Includes ground wire. Dimensions: 15.5" x 7.75" x 13.5" ( 395 x 195 x 345 mm).